Sabre the leading technology provider to the global travel industry, announced that Interjet, one of Mexico's leading carriers offering excellent service at reasonable prices has signed a long-term distribution agreement to offer its full content on the Sabre global distribution system (GDS). Headquartered in Mexico City, Interjet serves over 12 million passengers each year with routes in Mexico as well as the United States, Canada and Central and South America providing air service to 54 destinations in eight countries, with a fleet of 80 aircraft and revenue of more than US$1 billion. The new distribution agreement expands the airline's reach to more than 425,000 travel agents worldwide while allowing Sabre's corporate, leisure and online travel agency subscribers to deliver even more choice and value to their travellers. 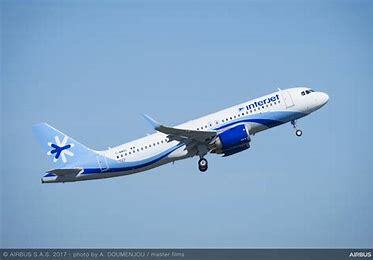 Full content from Interjet was released globally on September 21, 2017 to travel agencies. "Sabre technology powers an unparalleled, global travel marketplace that allows us to promote, personalize and sell our products to travel management companies, corporate travel departments and more than 425,000 travel agents around the world," said Julio Gamero, Interjet chief commercial officer. "This partnership makes Interjet content available to travel agents and travellers that never before had the ability to book our flights, and we look forward to expanding our reach to those customers." In addition to the amenities, routes and value that Interjet offers across its own network, the airline has also established codeshares with LATAM Airlines, American Airlines and Iberia, and interline agreements with British Airways, Alitalia, All Nippon Airways (ANA) and Hahn Air to offer even more flexibility and global reach. "Interjet has quickly differentiated itself as an airline that offers a high-efficiency flight experience along with a unique set of amenities that give travellers the perfect balance between cost and convenience," said Jay Jones, senior vice president for Sabre Travel Network in the Americas. "Travelers will be excited to have Interjet as a convenient and affordable option for their travel needs, and this new agreement allows all of our GDS subscribers worldwide to efficiently shop, book and manage travel for valuable content not previously available in the Sabre marketplace."